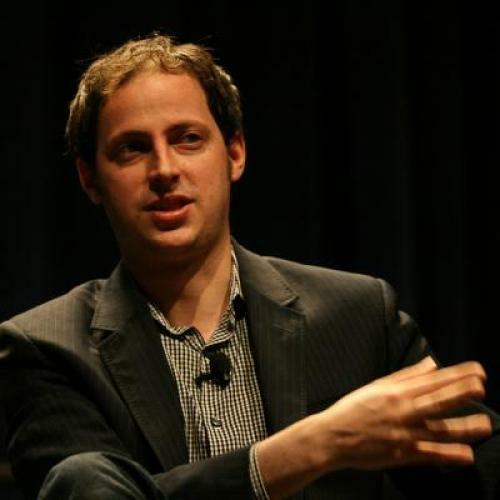 Nate Silver sat with ESPN sportswriter Bill Simmons for an hourlong podcast, published Friday, during which they compared Silver’s role in politics to statheads’ role in sports around a decade ago—both being disruptive forces that introduced numbers-driven objectivity to an insular, clubby, subjectivity-dominated universe. This led to some juicy Politico-bashing: “They’re trying to cover it like it’s sports, but not in an intelligent way at all,” Silver said of the site. At another point, he quipped, “The pundits who come on TV and pontificate are not analogous to the scouts—they’re totally useless” (the pundits, that is). In Michael Lewis’ Moneyball, general manager Billy Beane and his number-crunchers are juxtaposed with the scouts: grizzled ex-ballplayers who watch prospects and write reports based on their own observations and experiences rather than any sort of externally consistent metric. Silver’s distinction is important: the neat stats/scouts dichotomy pushed by some writers overlooks that Beane himself was an ex-ballplayer and that the scouts have much to offer (as Silver noted in the podcast, Beane’s Oakland Athletics have actually increased their scouting budget over the past decade). But Silver is wrong about the supposed worthlessness of TV pundits and horse-race reporters. Some of the more vapid cable commentators and some of the less-schooled reporters are indeed “totally useless,” and it is therefore inaccurate to say they are the scouts of politics. But many political journalists, even those concerned primarily with winners and losers, are, like the scouts—and unlike the statheads, whether they work in the Toronto Blue Jays’ front office or for the New York Times’ FiveThirtyEight blog—deeply informed observers concerned with truths that the numbers cannot provide: how candidates handle pressure and manage staffs; how ideology intersects with rhetoric, policy with politics; and other information of value to voters. There's more to covering politics than what's dreamt of in FiveThirtyEight’s philosophy. In fact, so much of the (necessary) defenses of Silver, after the attacks against him before Election Day, obscured just how purely he is a horse-race journalist, concerned to an almost unique degree on outcome to the exclusion of everything else. It was completely wrong to say—as many said, in so many words—that he was “trying to cover [politics] like it’s sports, but not in an intelligent way at all.” But it is undeniable that he does cover politics like it’s sports. Meanwhile, Simmons, whose entire career is built on the premise that he is the ultimate sports fan—he goes by “The Sports Guy,” after all—is proof himself of the limits of statistics as a prism for understanding sports. From his early write-up of the annual MIT Sloan Sports Analytics Conference up through Grantland, the ESPN-backed magazine he edits, which employs several such analysts, few have done more to patronize and popularize the statistically informed study of sports than he has. Last week's podcast was further proof that Simmons considers himself of the camp that not only understands the basic philistinism of many of the traditionalist critics, but actively embraces a data-driven approach to sports. And yet, Simmons is not a numbers guy; he’s a fan. “I remember the days when maybe I was a little intimidated by the numbers,” he told Silver. They are not that long ago. He remains a complete Boston homer, in ways that can skew his analysis, as happened (he admitted on the podcast) during the New England Patriots’ 18-1 season in 2007. Discussing basketball strategy, he is likely to use numbers and even obscure stats; but discussing it viscerally, the day after, he can be as purple and heuristic as any local columnist. One salient example is Simmons’ oft-repeated “gambling rules,” which include never betting on a playoff football team that’s playing on the road with a rookie quarterback. The last written, coherent articulation and application of the rules I could find is a column from early 2010—nearly three years ago, but well after Simmons had, say, attended a Sloan conference. Justifying a few of his new rules, he even resorted to some numbers—“QBs with a 95-plus passer rating: 1999 (two); 2009 (nine). Seven of the top 53 QB ratings all-time were posted this season”—in insisting that you had to be able to throw the ball exceptionally in order to win in the playoffs. Having established his rules, he applied them to that year’s playoffs. He mocked New York Jets coach Rex Ryan’s confidence in his run-first offense, and added, throwing Ryan’s words back at him, “The Jets don’t have a chance in every game ‘this time of year.’” In fact, the Jets won two straight upsets. “The most potent force in January and February is the ‘Nobody Believes in Us Theory,’” he stipulated. In fact, the two teams with the best records entering the playoffs faced each other in the Super Bowl. He picked against the spread for the playoffs’ first four games, and he got all four wrong (and all four wrong outright). The lesson isn’t that numbers lie except when they don’t, or are best handled by experts, or are inapplicable to the single-elimination NFL playoffs (although there is probably truth to all of those theories). It’s that even hyper-educated sports fans—professional sports fans, like Simmons—will continue to apply goofy, superstitious theories right alongside the numbers. And lest you think sports’ lower stakes means this won’t also be true of politics, recall that Simmons, who frequently jokes about placing wagers “if gambling were legal,” likely had money riding on those picks. People, as emotional beings, are not always going to listen to what the experts tell them, whether the subject is the horse race of politics or an actual horse race.